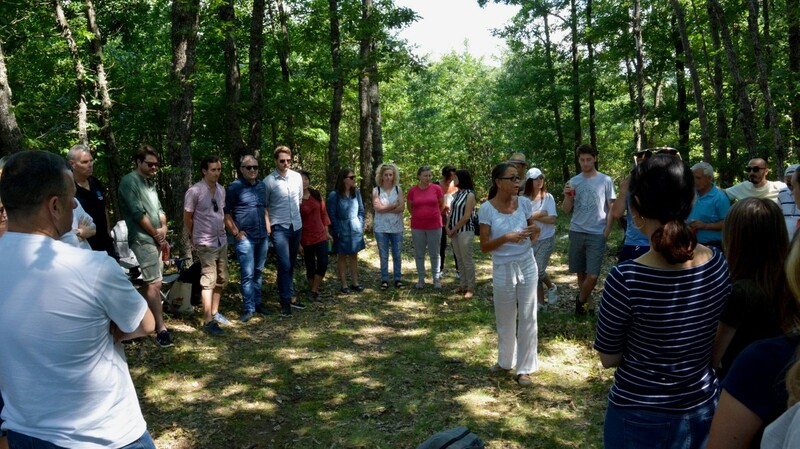 This past Friday marked the annual UN Common Premises staff retreat: an event intended to bring staff together to establish strong connections for more productive work. Every level of staff, from young interns to heads of UN agencies, gathered in a casual setting to learn from one another both professionally and personally. 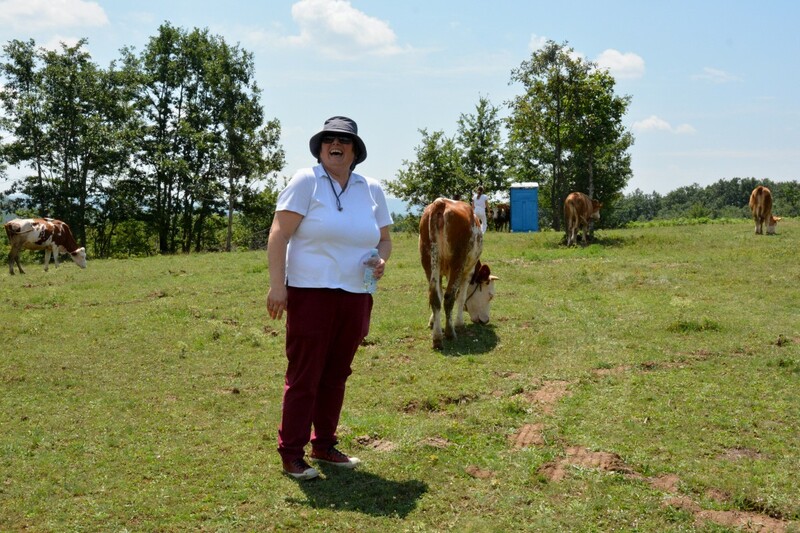 After an hour-long journey, staff reached the destination for the day: a sprawling pasture with roaming cows, and a small forest covered by a canopy of trees. The sun was shining and the air was fresh, setting the tranquil atmosphere for the event. Collaboration began the moment employees stepped out of their vehicles, as every participant worked to set up the location for the day. Once the set-up was complete, the participants gathered in a large circle. Ms. Ulrika Richardson, UN Development Coordinator, gave a short speech on the importance of building and maintaining trust among team members, allowing the team to function at its best. She continued, noting that members need feel safe, so that if they make a mistake or are unsuccessful in achieving a goal, others will be there to assist them in their work. Afterwards, staff members were asked to share a fact about themselves which their colleagues didn’t know. Each participant was given the opportunity to introduce themselves and speak to new colleagues. Stories ranged from travel to poetry to floral arrangements in the Caribbean, with outbursts of laughter and nods of approval from others in the circle. Hours after the activity, attendees were still asking others to give them details about what they spoke about in the circle, such as where the person had travelled to or what type of poetry the person enjoyed writing. Once each person had spoken, retreat leaders guided the circle of participants to the pasture area, where small obstacle courses had been created by retreat volunteers. Following the nominations of brave volunteers, the challenge was revealed. The volunteer had to walk blindfolded from one corner of a square to the other without stepping on any plastic cups. The walk was timed, and the group with the fastest time was able to eat lunch first! The objective of the challenge was to foster trust and collaboration between each group. 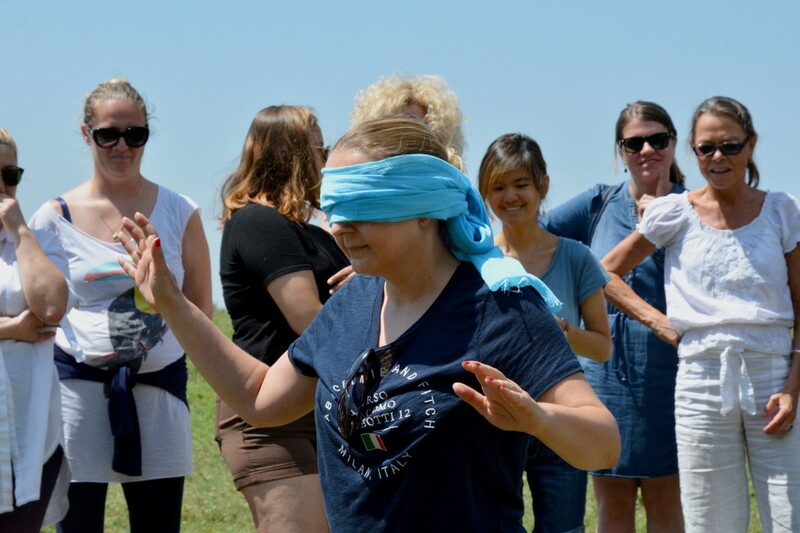 Group members had to direct their volunteer step-by-step through the process, and the volunteer had to place their full trust in their team members, which is not unlike the workplace. There are many instances of joint efforts in events or initiatives, during which staff must work together to accomplish a common goal. Once the activity was complete, everyone gathered around the barbecue area for lunch and spent quality time speaking with their colleagues from within and outside their agency. There were no walls or floors dividing staff members, instead everyone gathered together on blankets and conversed. Some brought cards and board games, while others had simple arm wrestling matches! 2018 marks the second year of the Sustainable Development Goals (SDGs) which UN Kosovo strives to promote. As an office, the retreat supported SDG 17: Partnerships for the Goals. To create a positive, supportive and productive work environment, it is essential for employees to interact with one another to build strong working relationships. The retreat gave staff the opportunity to interact with other UN employees who they did not know or only knew in a professional setting. There is an extensive amount of cooperation between agencies, but often not enough time for socializing in a collective and communal space. 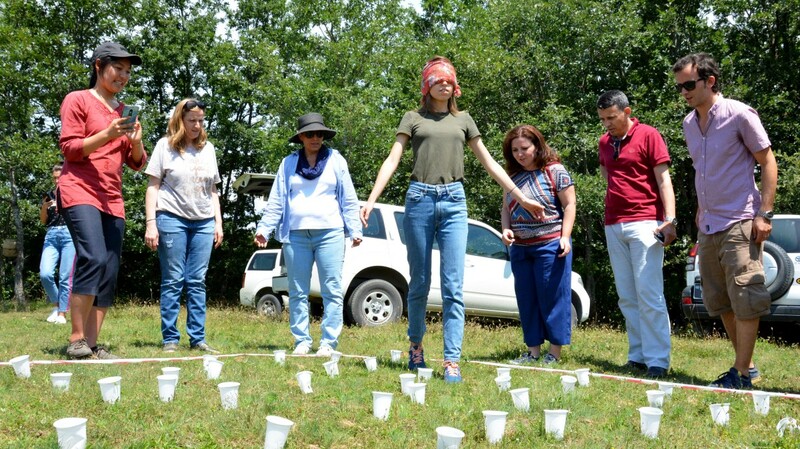 The retreat allowed bonding between employees within UNDP Kosovo, giving staff the opportunity to grow and thrive together. Most importantly, the ability to strengthen our professional and personal relationships within the UN offices allows us to better serve the community we work in, thereby working harder to achieve every Sustainable Development Goal within Kosovo.